Restore the appearance of your smile with teeth whitening in Whittier at the dental practice of Robert S. Parminter, DDS. Dr. Parminter and his team are the experts when it comes to teeth whitening, or teeth bleaching, to help make your smile brighter. They develop customized solutions for each patient to ensure that their teeth are whitened and brightened in a safe, effective way. Have you tried over-the-counter teeth whitening products with little or no success? You're not alone. 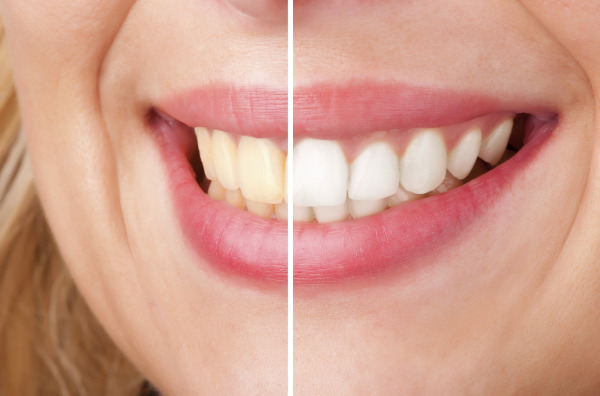 If you're serious about ridding your teeth of unsightly stains, professional teeth bleaching from our dental office is in order. Our skilled cosmetic dentists will work closely with you to give you the smile of your dreams! Everyone knows that things like tea, coffee, wine and tobacco stain the teeth. These stains occur on the enamel, or outermost layer, of the teeth, and they can effectively be removed by professional teeth whitening. The white appearance of your teeth can also be affected when teeth are exposed to excessive amounts of fluoride during development. The use of certain antibiotics during early childhood can cause discoloration too. Over-the-counter teeth bleaching products only tend to work on the simplest and most superficial of stains. Our teeth bleaching experts can supply you with custom teeth whitening tools that you can use in the comfort of your own home. Under the care and supervision of our experienced dentists, your teeth are sure to become whiter, brighter, and more attractive. However, an initial consultation will confirm whether or not teeth whitening is a viable option for you. If it's not, don't worry - we offer a complete range of cosmetic dental solutions to enhance your smile’s appearance. • During an initial consultation, your teeth will be evaluated by one of our dentists. The location of crowns, fillings and other dental work will be noted. It’s important to note that teeth whitening only affects natural tooth enamel; therefore some of your dental work may need to be replaced later to blend with your new smile. • Impressions will be made of your teeth and sent to a lab, where they will be used to create a custom plastic tray. • When you return, you will get to try out the tray. Dr. Parminter will make adjustments as necessary and supply you with a special teeth-whitening solution. • At home, you will either wear the tray and solution twice a day for about 30 minutes per session, or you will wear it overnight, depending on the severity of discoloration. Visit Us Today for a Whiter Smile! With regular visits to our teeth bleaching experts, your teeth will be looking like new in no time. Contact us today to see how the custom at-home teeth whitening kits from our cosmetic dental office, serving Whittier and beyond, can help you.